Poker is undoubtedly a game that involves highly calculated risks. The game goes beyond the skills and strategy. It is the ability to maintain calmness even when it seems you are falling off. It is the exceptional capability to know when and how not to tip your hand and bluff your opponents. In this poker article, we will take a cursory look at the list of the richest poker players and their exact net worth. Many players have been wrecked but many others have gone ahead to become famous and revered in the industry. There are many professional poker players making a living out of the game and interestingly, their earnings far exceed the earning of over 90% of the United States population. These poker pros have earned their places in the list of the richest poker players. We present our list of eighteen professional poker players who have earned immensely in the industry. The 32 years old Dan Bilzerian tops the list of the richest poker players in our review. With a net worth of $150 million USD, this young man is definitely a force in the world of poker. Dan is popular for playing high stakes games and in the course of his games; he has won over $10 million USD at a table on a single night. It is obvious that the entire net worth of Bilzerian is not from his poker games because he is believed to have several investment holdings in other areas. In addition to this, it was reported that his father, Paul Bilzerian, a corporate raider, had set up a trust fund for Dan from his early age which is believed to have added significantly to his net worth. However, a large part of his earnings are gotten from his poker games. The history of poker cannot be complete without the name of this young poker millionaire. 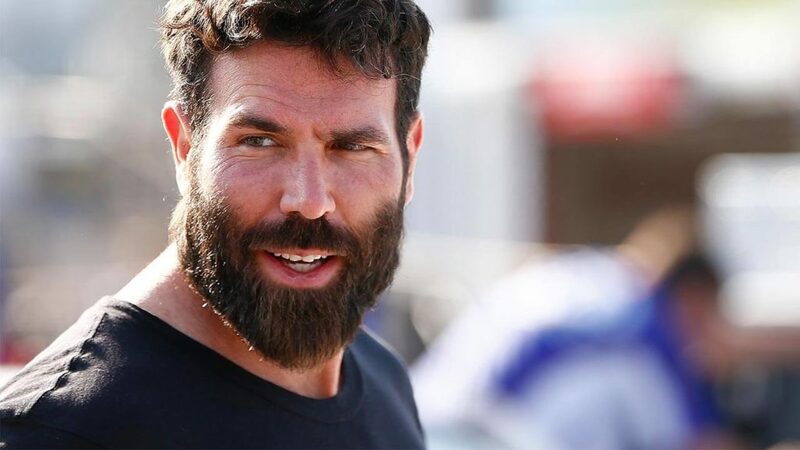 Read about Dan Bilzerian net worth. 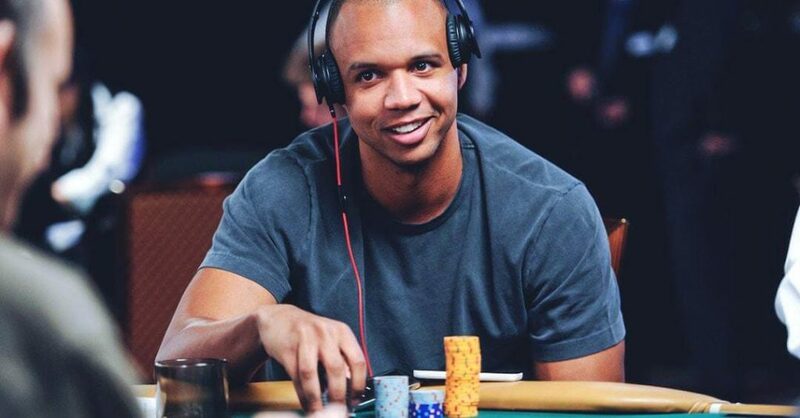 Ranking 5th in the list of professional poker players with the highest winnings in tournaments, Phil Ivey definitely has to be in our list of the richest poker players in the industry. With a net worth of $100 million USD, he is indeed one of the richest in the industry. Apart from ranking high in the list of the highest winnings in tournaments, he is also at the top list of the biggest winners in poker of all time. He has played in more than 319,285 hands and has won big in almost all of them. Having learnt how to play poker from a tender age and having his grandfather teaching him to play five card stud poker, we cannot deny the fact that Phil Ivey is indeed a genius and a legend in the poker industry. The 42 year old professional poker player has won ten different World Series of Poker bracelets, and the World Poker Tour titles, among others. He also holds the titles of the Poker Player of the Year 2005 and 2009. Phil Ivey is indeed a legend in the world of poker. He is still very much in the industry, so it is expected that his net worth will significantly increase beyond this in the coming years. Read about Phil Ivey net worth. Chris Ferguson is one of the few poker players that have gone through the good and ugly of the poker world and has great earnings to show for their efforts. With a net worth of $80 million USD, Ferguson is no doubt one of the richest poker players in the world. His career journey has not all been smooth; we mean, going from a poker prince to a recluse and coming back to become a poker champion again. Of course, only few poker pros can hold a candle to the wealth of experience of the 58 year old Chris Ferguson. In addition to the huge wealth he has made in his career, he also has six World Series of Poker bracelets to his name. He announced his retirement some years ago and he actually left the stage for a while. However, he made his comeback as a champion and he has continued to make more winnings at live tournaments and poker circuit in general. Read about Chris Ferguson net worth. Having walked through the field of poker for 50 years, the veteran, Doyle Brunson has made a name and some great money for himself. Boasting of a net worth of $75 million USD, he has indeed won the respect and admiration of many poker enthusiasts. The 84 year old Doyle Brunson has a total of ten World Series of Poker bracelets to his name in addition to various recognitions in the industry. At the 2018 WSOP event, Brunson took a bow out of the world of poker after playing at the $10,000 No Limit 2/7 Lowball Draw Championship. According to him, he can no longer play poker for long hour, so he has to leave the stage for other upcoming professional poker players. So, we might not be seeing Doyle Brunson at the felt table again after his last appearance at the live tournament of 2018.Of course, having spent over 50 years at the felt table, he deserves to take his rest and enjoy his money. Although the veteran has left the poker scene, there is no way the list of the richest poker players will be mentioned that the name of Doyle Brunson will not appear. Read about Doyle Brunson net worth. Daniel Negreanu made his first appearance as a professional poker player at the age of 21 years old when he visited Las Vegas to explore the world of poker. Although he has been involved in poker games from an early age to the point of going against some seasoned players at a very young age, he didn’t start professional games until the age of 21. And when he made his appearance, he went all out to make himself famous and make a name for himself. The 44 year old professional poker player currently has a net worth of $50 million USD and he is still building on it because he is still very much involved at the tables. Daniel Negreanu is unquestionably one of the favorite of many poker fans. Read about Daniel Negreanu net worth. With a placement in the All-Time Money list, Fedor Holz cannot be missing in the list of the richest poker players in the world. Placing 6th in the All-Time Money list, Holz is indeed a strong force in the world of poker. Boasting of a net worth of over $32 million, he has made a lot of earnings from live cashes. It was reported that the 25 year old professional poker player has hinted on retiring from the poker scene soon but it seems there was a kind of misunderstanding of what he actually meant. According to Fedor Holz, he is not totally retiring from the scene but he would love to pursue other goals in life. Of course, why would he want to leave the poker world when the ovation is just getting louder… and after winning big at the 2018 World Series of Poker? In case you are not aware of this, Holz made the biggest cash win at the 2018 WSOP High Roller for One Drop game, placing 2nd in the tournament with a winning of $6 million USD. Read about Fedor Holz net worth. Skills, talent, and exceptional personality; these are the attributes of this young poker player. Patrik Antonius is not your regular professional poker player; with a net worth of $30 million USD, a large portion of which was made through online poker, he is indeed a special breed in his class. Antonius is one of the trendiest professional poker players and he has continued to take the community by storm with his amazing talents and skills. Between 2008 and 2013, Antonius has made over $11 million USD from the online platform, playing poker. He has also made another $6 million USD playing at PokerStarts. The 38 year old poker pro is unarguably one of the richest poker players in the industry. He is obviously not done yet in the industry; he is still making waves and aiming higher for more fame and money. Read about Patrik Antonius net worth. Known as the poker magician, the name of Antonio Esfandiari cannot be missing from this list. Boasting of a net worth of $27 million USD, there are very few people that have the kind of bankroll that Esfandiari controls. He has made a great fortune for himself in the industry by winning at various tournaments. The 40 year old professional poker player is a careful player, always knowing his limit. He understands the importance of bankroll management and he is an advocate of responsible gambling among young poker millionaires. Although he is a careful gambler, he is still a lavish spender. He is known to organize parties just for the fun of it. Well, if you have the kind of money he has; who wouldn’t throw lavish parties and have some fun spending the money he has earned? Read about Antonio Esfandiari net worth. Oh yes! We have the first female poker pro in our list of the richest poker players. Jennifer Tilly is not only a professional poker player; she is also an actress and a voice actress. Her net worth of $25 million USD has placed her on the 9th position on our list. In the course of her poker career, she has won the title of World Series of Poker Ladies Event and she has a shining bracelet to show for her winning. Sometimes in 2008, she publicly announced that she would be retiring from the game. However, she was back at the felt table in January, 2010 and by 2017, she has participated in various tournaments that significantly impacted on her net worth. So when professional poker tells us they are going out of poker scene, well, it is best to cross our fingers and watch for their return. Why? More often than not, they always return. The reason for this is simple – gambling is an addiction. If you have ever won playing at a table, you will keep coming back for more. Read about Jennifer Tilly net worth. With about $20 million USD net worth, Phil Laak has earned a place in the list of the richest poker players in the industry. Of course, he is not the richest but he has surely earned himself some great wealth in the course of his successful poker career. Popularly called Unabomber because of his signature sunglass and hooded sweatshirt, Phil is undoubtedly a great professional poker player. Apart from playing as a professional poker player, he is also a consultant and a writer. In one of his books, he highlighted some poker strategies that will help upcoming poker players get a grip of the game. Phil Laak has won the World Series of Poker bracelet as well as the World Poker Tour title. He holds the record of the longest time playing poker at a single session. Read about Phil Laak net worth. Ranking 12th on the list of All-Time Money, Phil Hellmuth is no doubt a strong figure in the field of poker. With a net worth of over $20 million USD, he deserves to have a place on the list of the richest poker players in the industry. He has won several World Series of Poker events and from his young age he has cut a clear path for his poker career success. He made his first appearance at the global poker scene when he played at the World Series of Poker in 1988 Seven Card Stud Split and won $1,500. This was first of his many winnings from that time on. The 54 year old professional poker player has won over $21.7 million USD in live tournament events. He has also played at some online tournaments. Hellmuth holds the highest record of the highest World Series of Poker cash games with a total placement of 108. He also holds the record of the highest World Series of Poker final tables with 52 finals. Read about Phil Hellmuth net worth. The name of Gus Hansen always rings a bell in the poker world. With various awards and titles, he undeniably holds the reputation of a brilliant poker player. His net worth of $11.5 million USD makes him one of the richest players in the world of poker. Hansen is the first poker player to win the World Poker Tour Open tournaments at three different times. He has also won the 1st edition of the World Poker Tour Bad Boys of Poker. His name was also in the league of the big time players of the World Poker Tour Walk of Fame. His great look has also got him a nice position on the People Magazine’s list of the fifty Sexiest Men. The 44 year old poker player has a great career and it is no doubt that he is still going far in the poker world. We look forward to see his net worth growing. Read about Gus Hansen net worth. Known as the Prince of Poker, Scotty Nguyen holds a spot in the list of the richest poker players in the industry. He is on the list of the All-Times most successful professional poker players and he is also one of the most popular professional poker players in the industry. With a net worth of $11 million USD, Nguyen is a force to be reckoned with in the field of poker. Apart from his earnings, he has also won five World Series of Poker bracelets in the course of his career. He is the only professional poker player who has ever won at a Main Event and the $50,000 Player’s Championship event. There have been various rumors about Nguyen going broke but we believe this is a joke. Really, with the kind of net worth he has and his other investment portfolios, we don’t really think he is one of the players that will go broke just like that. Although he has not been making appearances at tournaments for some times, we believe Nguyen may still appear at the felt table any time soon. Read about Scotty Nguyen net worth. Doug Polk has earned a place for himself on our list of the richest poker players. Of course, $10 million USD net worth is not a joke. The 29 year old professional poker player has continued to make a name for himself in the industry and at the pace he is going, he is likely to exceed some old generation professional poker player. He has made appearances at various live tournaments and has made great winnings from them. In addition to playing live tournaments, he is also a familiar face in online tournaments. Doug Polk has made reference to his exit from the poker scene a couple of times but many poker fans believe he is just playing around. Really, Polk has a lot going for him and it will be sad to see him exit the scene at such a young age. We are keeping our fingers cross for him. However, even if he decides to retire from poker at this age, we think he has made a name for himself… and of course, some tidy net worth too. Read about Doug Polk net worth. Young Tom Dwan also made it to the list! Boasting of $10 million USD net worth, the 32 year old professional poker player is truly shining bright like a diamond. He has had a face-off with quite a number of big league professional poker players at the felt table and he has consistently held his own among his colleagues in the industry. Popularly known as ‘Durrrr’, Dwan can be counted among poker players who see bankroll as a means to an end. He is one of the few poker players who don’t mind losing millions of dollars at a table, as long as there is a chance of turning around the table in their favor. Tom Dwan has won many cashes at live poker tournaments and he is still on the way to the top. He is famous for his highest stakes at online games playing No Limit Texas Hold’ Em Omaha. In 2007, he lost $2 million USD at the felt tables but he has never gotten tired of bankrolling his games and today, he is regarded as one of the top players and of course, one of the richest professional poker players in the world. Read about Tom Dwan net worth. Jason Mercier made his appearance in the poker world as a professional poker player in 2007. Within a short period of time, he has carved a niche for himself in the industry and with a net worth of $8 million USD, we cannot skip his name from our list of the richest poker players in the industry. When he came on board the poker train in 2007, he immediately became one of the sixteen professional poker players who achieved the status of Supernova elite. Mercier ranked number one poker player in the world according to ESPN. Global Poker Index (GPI) also ranked him number one for over a period of 80 weeks. The 32 year old professional poker player is worth looking out for in the industry. No doubt, he is aiming for the star and with the way he is going about it, he will surely get it. Building a net worth of $8 million USD within the space of ten years; all from the scratch, is worth applauding in the industry. Read about Jason Mercier net worth. The beautiful goddess of poker, Vanessa Rousso, also made it to our list. Rousso has stamped her name in the mind of every poker fans in the industry. She is not only a professional poker player; she is also a television personality and a DJ. Boasting of $6 million USD net worth, we believe she is worth applauding for her feat in the industry. She is one of the few ladies that have made an impact in the poker scene. She almost made it to the final table at the World Poker Tour Championship in 2006 and has continued to grow her career in poker. Some years back, she got a multimillion dollar endorsement deal from PokerStar. She announced her retirement from the scene some years, even though before then, she has not been very active in the industry. In 2011, her tournament scores drastically dropped and since then, it seems she has left the poker scene for good. She seems to have focused on her other careers, especially DJ. Even though Vanessa Rousso has left the poker world some years ago, her exploits in the industry still linger in the heart of many poker enthusiasts. Well, we would not be surprised if she stage a comeback. Read about Vanessa Rousso net worth. With over $4 million USD, Liv Boeree takes a spot in our list of the richest poker players in the world. She holds both the titles of World Series of Poker Champion and European Poker Tour champion in 2010. As a matter of fact, she is the only female poker player to have won these titles. In addition to this, she is a three times winner of the Global Poker Index European Female Player. She has also been listed in the list of All-Time female live poker winnings, occupying the fifth position. She entered into the world of poker when she contested in the UltimatePoker.com Showdown. From this stage on, the 36 year old female professional poker player has been making various winnings. She has won various awards and her live tournament earnings totaled $3,716,333. She has not retired from the industry so we believe there is still much for her to do. Read about Liv Boeree net worth. There we have the list of our richest poker players in the industry. These professional poker players have made names for themselves. They have become a force in the world of poker games and the history of the game cannot be recounted without their names being mentioned. We believe some of them have done their best and have done well to retire from the scene. However, there are a lot of them that still have a lot to offer. We are excitedly waiting for them to make the news. Of course, we also believe that there are many upcoming professional poker players that will take the community by storm. We are rooting for these great talents and as they come up, we are sure to acknowledge their rising. The world of poker is indeed blessed with amazing talents and we are delighted to know about them. If you want to learn more about each of the players that have been listed here, you can read the page dedicated to each of them. We are sure you will learn one or two things from their poker strategies to make you a better player.